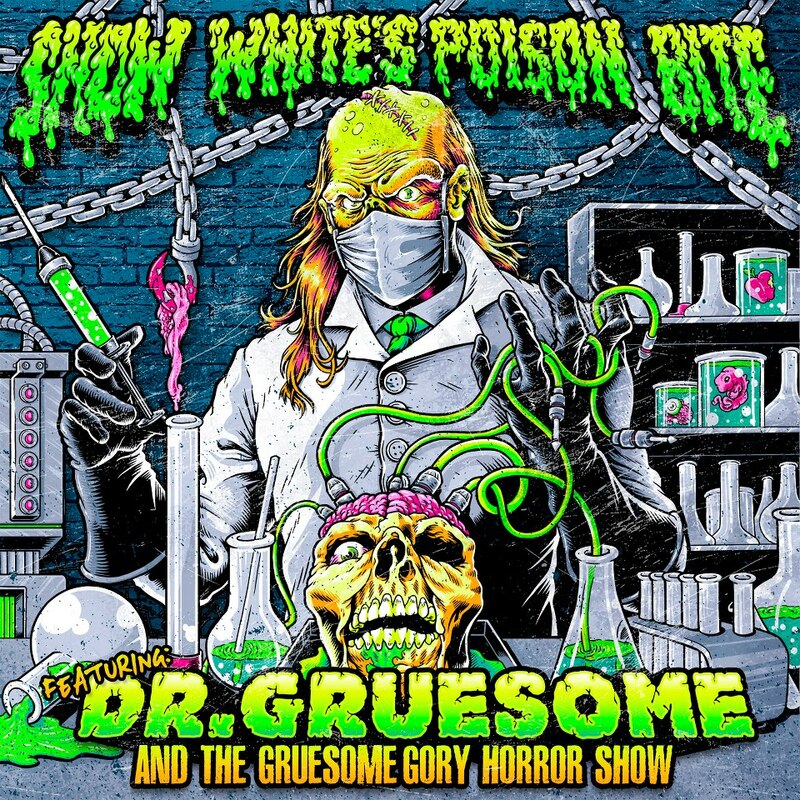 Horror Punk band Snow White's Poison Bite hails from the cold northern lands of Finland, and have most recently started their horror filled onslaught of our North American shores. 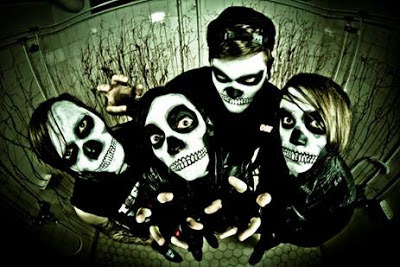 Becoming part of the Victory records family the band recently debuted "Featuring: Dr.Gruesome And The Gruesome Gory Horror Show"
The band has been receiving quite a bit of media attention lately and has just finished up their first music video for the single "Will you meet me in the graveyard?". I caught up with the band a while back before the video and before the album, my brilliant self lost this interview in what I call email hell. 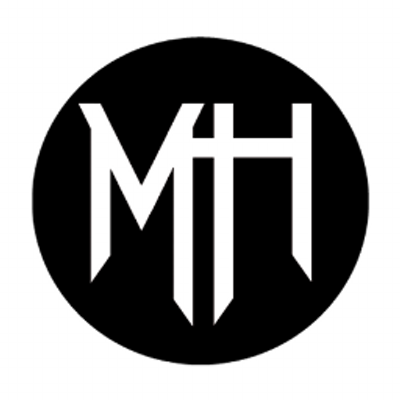 You can check it and their brand new music video out below and learn more about the bands horror influences, past and present. 1. Could you introduce the members of Snow White's Poison Bite? and tell us a bit about where you're from? -The band consists of me Jeremy Thirteenth (vocals), I'm originally from the UK, but live in Finland now. Our guitarist August, drummer Hoker Dine and bass player Bobo. All the other guys also live here in Finland. 2. What is the story behind the name? It works great for the Horror Punk theme! -The story behind the name was kind of like our previous album "The Story Of Kristy Killings" I wanted it to sound like a movie title and I also wanted to create a new character for this second album. This album has a theme, but it also has a lot of personal stuff I wanted to talk about. The "Kristy Killings" album only had the theme about Kristy and no personal stuff, so I guess this new album is more interesting in that way. 3. 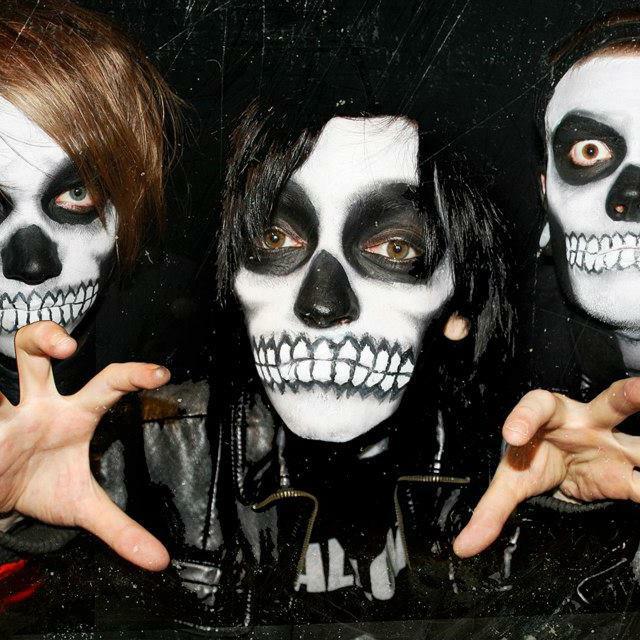 Speaking of Horror Punk, what exactly is it? -I guess it's mostly music influenced by horror films, etc. I’ve always been fascinated with 80s horror movie culture. But this band is much more than that and I know this album will prove that. 4. You have been around since 2007, back then the horror element wasn't as prevalent. What brought about the change? -Back then the band was just starting and didn't really have an identity. We released two EP's, but I don't count them as SWPB anymore. The band found it's real identity with the "Kristy Killings" debut album. 5. I understand there has been some drastic changes to the line up since the beginning At the moment is the band stronger than ever before? -Yes, a drastic line up change has happened since then. I'm the only original and founding member left in the band. I didn't want to give up so I gathered some people and formed the new and improved SWPB. The band is definitely stronger than ever now! 6. Your second studio album is being released soon through Victory Records, how have things been since joining the Victory family? -It is a dream come true. I've always wanted to sign with Victory and the whole team at the label have been GREAT to us. I'm sure we're going to have a bright future with this label! 7. 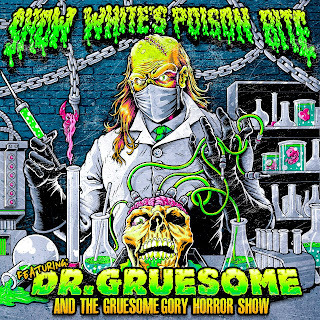 Tell us about "Featuring: Dr.Gruesome And The Gruesome Gory Horror Show", what can we be expecting out of it? -I don't want to give too much away, but let's say it's something different and it will shock the hell out of people. Go and buy it April 16th! 8. Is Dr. Gruesome going to become a mascot? Along the lines of Eddie for Iron Maiden. -Haha! Who knows. I love creating new characters for our new albums and I think Dr. Gruesome is going to be as popular as Kristy Killings was on our previous album. I guess if we would have the money I would love to have a huge Dr. Gruesome mascot on the stage with us. 9. I think I may love the artwork even more than the music, who created it? Are you guys happy with it? -It was done by Stephen Bunnell (www.cryface.com). It was great working with him and he captured the idea I had for the artwork better than I ever imagined. Dr. Gruesome is a mixture between the Crypt Keeper from Tales From The Crypt and Herbert West from the Re-Animator movies. Stephen made Dr. Gruesome look perfect! 10. 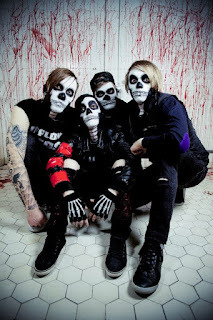 'Zombie Romance' features Michale Graves who is no stranger to the Horror Punk world. How pumped were you guys to collaborate with him? -It was truly an honor to work with Michale and to have him on this album. He has been my hero since I've been a teenager and all of this is just a dream come true. I've had the opportunity to talk with him many times and he is the nicest and most down to earth person ever. He loves the band and loves how we're taking things in a new direction, so yes, I am super pumped about this! 11. With Zombies being so popular (the Walking Dead, Warm Bodies) do you think this will benefit your band and music? -Haha, maybe we could have a song on a horror movie soundtrack or something, I guess that would benefit the band. But this is something we’ve always been into, and probably will always be. 12. You guys are embarking on a US tour in support of the album, How excited are you? -Yes, we're coming over there for 3 months. Our first tour is the BryanStars tour and after that we have a co-headlining tour with a band called Chomp Chomp Attack. We're all excited to come to the US for the first time and we also plan to have Michale on stage with us for a few dates. 13. Away from the music for a moment, what is your favorite aspect of the Horror genres? -Hmm, if you mean movies? Lately I've been watching horror films of the 70's and 80's. Also a lot of crappy b-movie horror that makes me laugh. 14. Has there been a Horror film that truly frightened you? -I think I fucked myself up as a kid when I watched the first Elm Street movie and then the IT movie. Mom told me I shouldn't, but I did it anyway. Sorry mom! 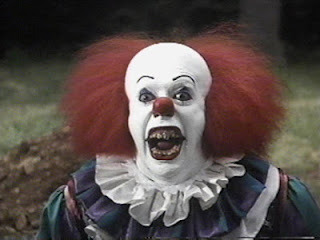 Pennywise: Traumatizing children world wide since 1990. 15. 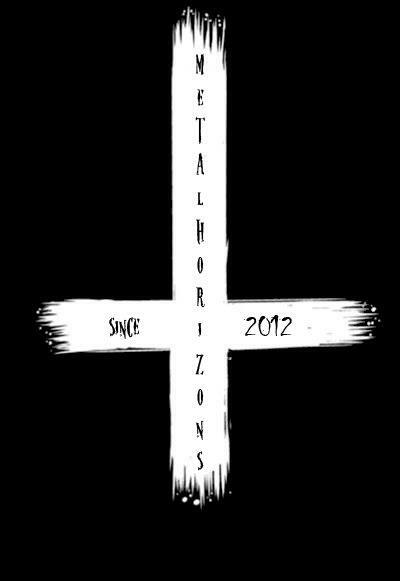 It looks like 2013 is just getting started for Snow Whites Poison Bite, with the new album and touring, but what else do you hope to accomplish by the year’s end? -I guess we'll be going to Europe after the US tour, but we're taking one step at a time for the moment. Let's hope everything goes well! You are busy guys so I will wrap this up, anything you want to say to your "Horror Crew"? Want more Snow White's Poison Bite?